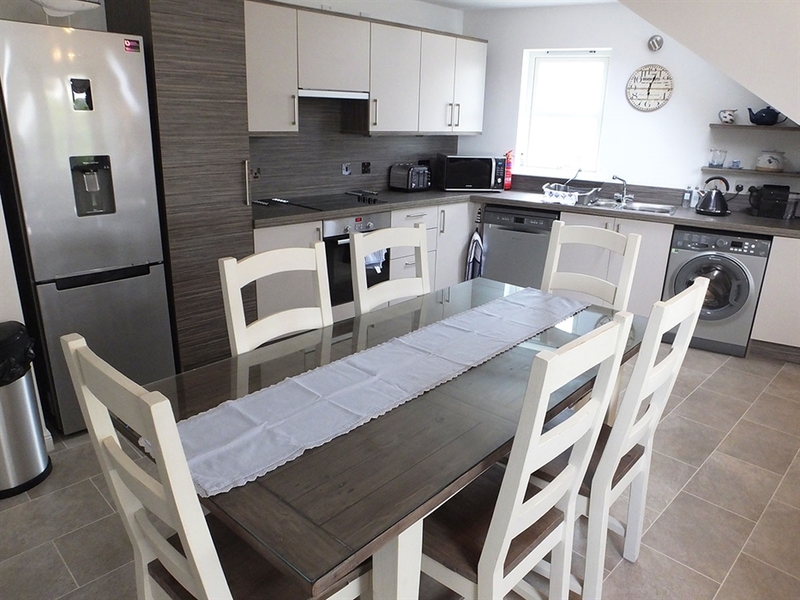 Brand new luxury self-catering apartments, with fabulous river views. Choose from a 2 or 3 bedroom apartment. Less than a 5 minute walk from an award winning sandy beach, Nairn Dunbar Championship golf course and the town centre. Riverbank apartments are situated in the popular Fishertown area of Nairn. Choose from either the 2 bedroom (sleeps 4) or the 3 bedroom (sleeps 6). Both apartments are furnished and equipped to an exceptional standard with all the comforts you’d expect from 1st class accommodation: Free unlimited Wi-Fi, DVD player, large flat screen TV, Dishwasher, washing machine, hairdryer, Iron, Nespresso coffee maker, all towels & bed linen provided plus designated car parking. The apartments are perfectly situated for access to many of Nairn’s best attractions within a very short walk from your door. • 2 large bedrooms: 1 double (can also be offered as twin if required) & 1 twin. • Open lounge/kitchen area with French doors opening on to tranquil river views – enjoy breakfast by the open doors listening to the river as it flows by. • Bathroom with bath, walk in shower and heated towel rail. • Cloakroom with ample coat hanging space. • 3 large bedrooms: 1 Master bedroom with en-suite (can also be offered as twin if required) plus 2 further twin bedrooms. • Beautiful spacious kitchen/living area with French doors opening on to fabulous river views.